Happy Earth Month! 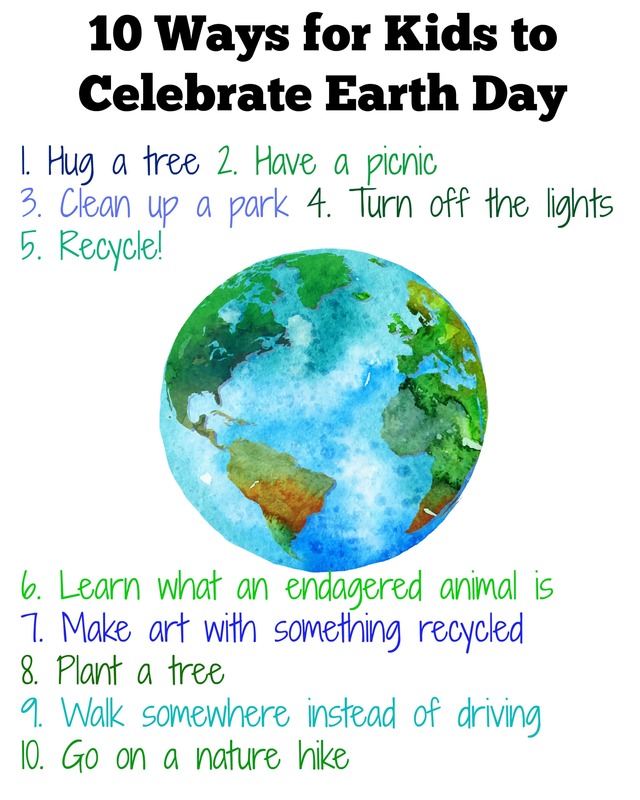 Today we have three fun ways to celebrate Earth Month. 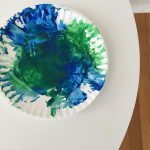 We have an “earthy” recipe, a fun little DIY and a free printable packed with more ways kids can get involved. 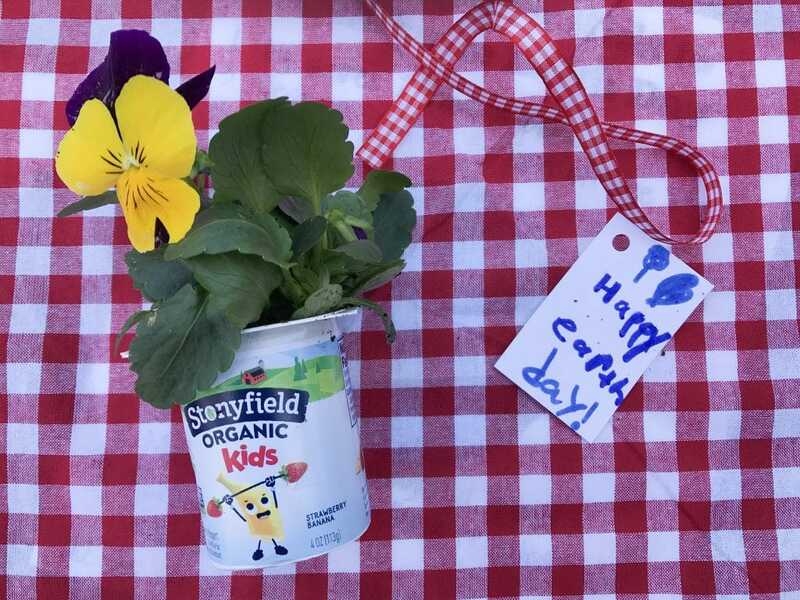 We were happy to partner with Stonyfield® Organic Kids® this Earth Month to share these fun activities. 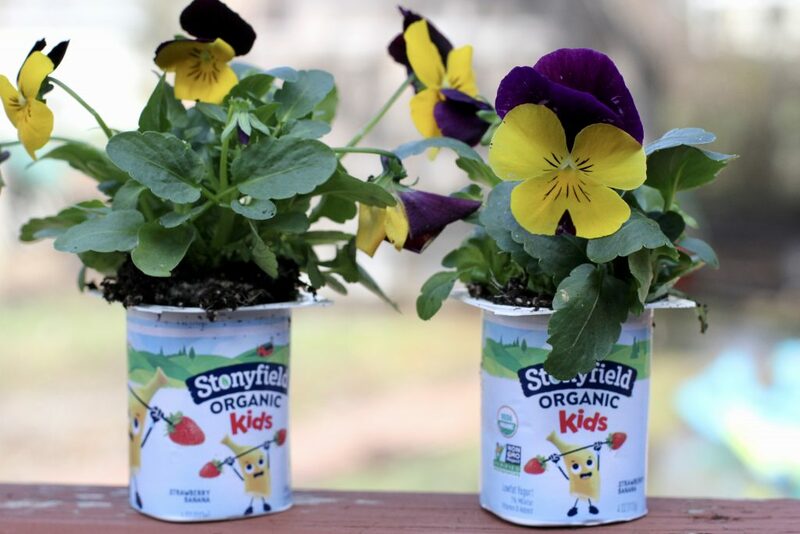 Save your Stonyfield® Organic Kids® yogurt cups and use them as little planters. My kids have been saving the containers after breakfast and washing them out. We used a few to make plants to give you neighbors and the rest we are using as a class project to plant seeds for Earth Month. They are the perfect size to add a scoop of dirt and seeds or a flower too. 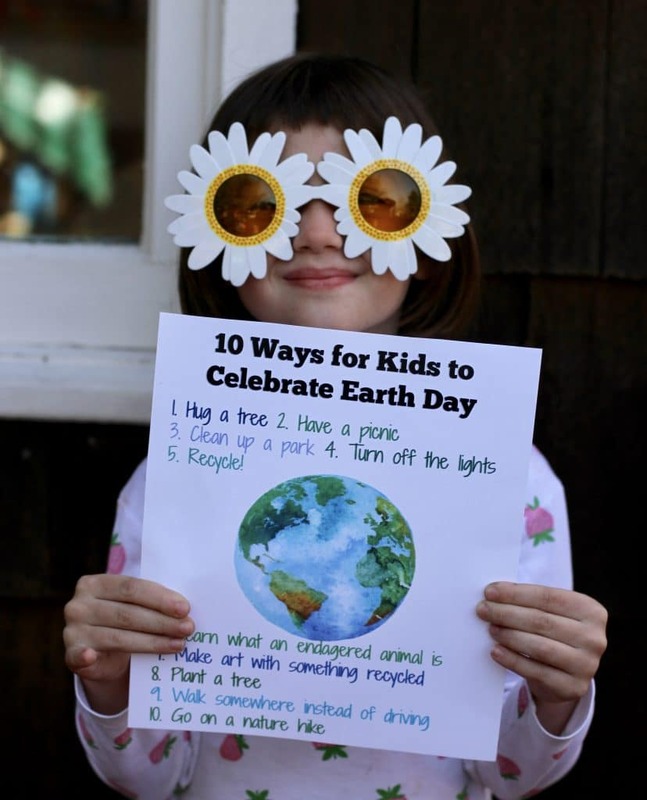 You can also add a little “Happy Earth Day” card and tie a ribbon around it to pass out to neighbors. 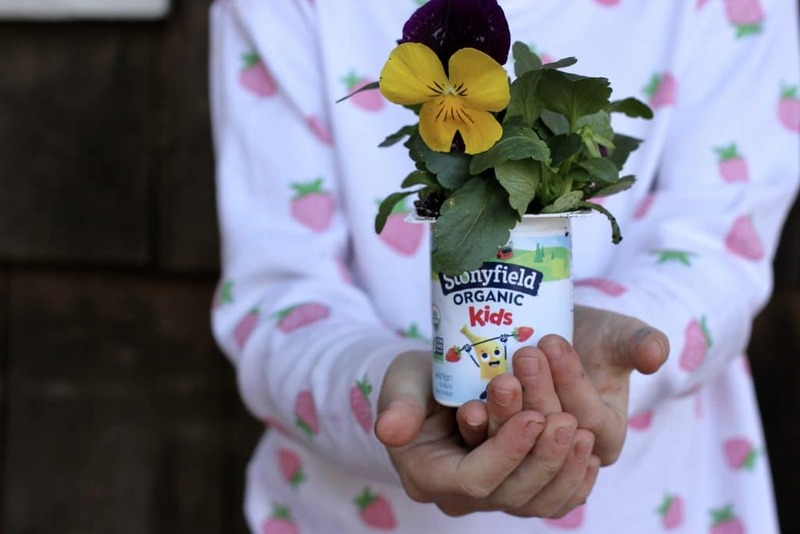 Stonyfield® Organic Kids® yogurt multipacks are made from plants! Cups made from plants have a lower carbon footprint and are better for the environment than petroleum based cups. While you are snacking on your yogurt from plant based cups, talk about how that is a simple way to help the Earth. Use this FREE PRINTABLE to talk about other easy ways to celebrate the Earth (click here to download & print). 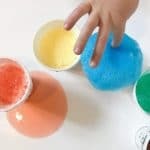 Now for a fun Earth Month recipe: dirt cups! This is SO easy and a fun “earthy” snack to bring to a school party or enjoy at home. 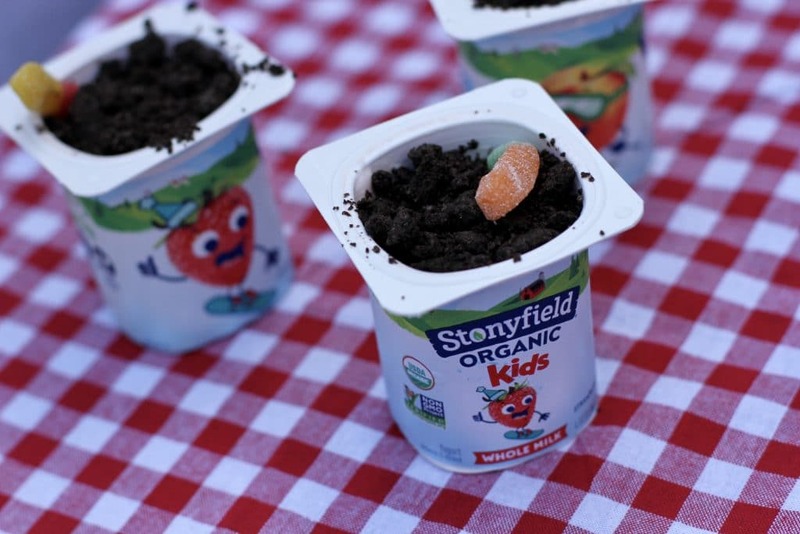 Simply open up your Stonyfield® Organic Kids® yogurt, sprinkle crushed chocolate cookies or crackers on top and stick in a gummy worm. Now you can celebrate Earth Month by eating “dirt”! We’ve been eating Stonyfield® at our house for years. 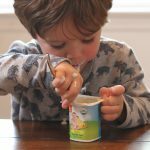 My kids love yogurt – collectively I would say it’s the food they all like most. I always bought Stonyfield® products because they are organic and have been a trusted brand for over 35 years. 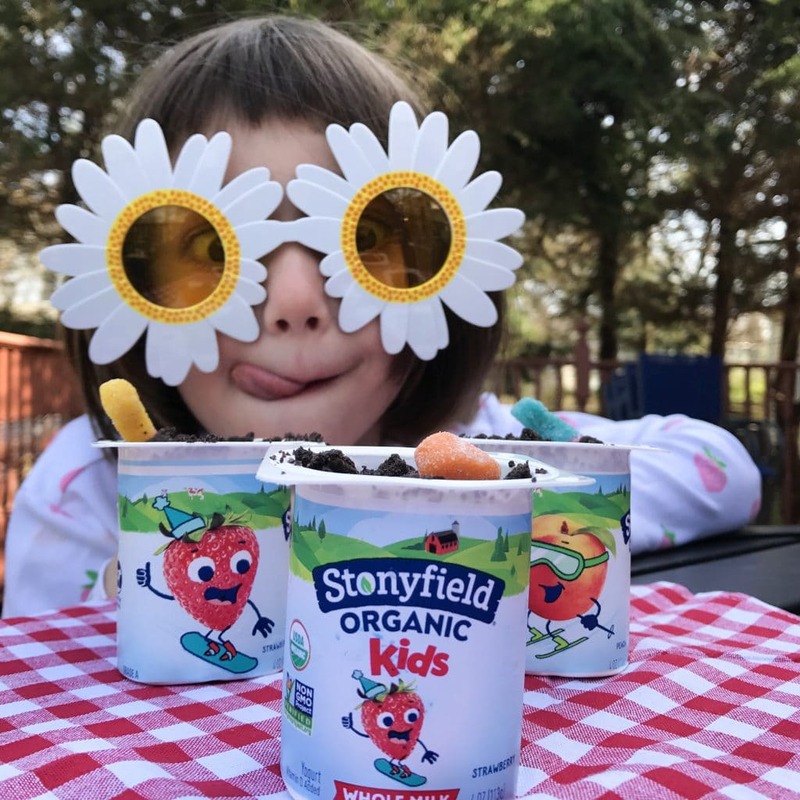 I was thrilled to find out that the brand recently did a sugar reduction across the whole Stonyfield® Organic Kids® portfolio which reduced the sugar making it 25% – 40% less sugar than the leading kids’ yogurt. My kids like yogurt at breakfast, and as a snack and in their lunch box, so we like all the varieties- cups, pouches, tubes, smoothies. You’re right, I didn’t know the cups are made from plants. That’s cool! I love the yogurt cups for a planter when you’re done. Such a great idea. What a great way to upcycle those little yogurt containers. I can’t wait to make some mini plants with my mini-me. My 7 and 10 year olds adore Stonyfield. Plus I use the pouches for when my 12 year old with Type 1 Diabetes has low blood sugar at night. It brings his blood sugar up perfectly and I like that it’s not candy and has protein. 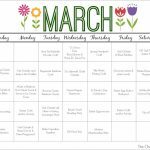 Great Earth Month ideas. I am itching to start planting (we use my parents’ backyard out on Long Island). This is brilliant! 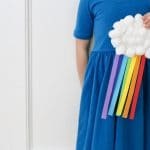 They are a great DIY task for the kids, and beautiful! And there is recycling involved! Love the dirt cups idea! Makes recycling fun.